(9 days / 8 nights) . . .
$4,695 USD/person from Winnipeg based on double occupancy. Single supplement add $950.00 USD. An easy, exciting, but very leisurely tour starting and ending in Winnipeg . . . the provincial capital city. 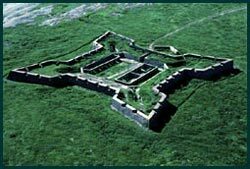 The prime destinations include Spruce Woods Provincial Park, Riding Mountain National Park, and Churchill on the Hudson Bay coast. Although the tour focus is on the natural history and wildlife of Manitoba, it also features the cultural heritage and pioneer spirit of the province. The itinerary includes visits to a Hutterite Colony, a mini-Ukrainian feast and festival in Dauphin, and other cultural highlights. Expected wildlife you'll encounter includes: Deer, Moose, Elk, Caribou, Arctic and Red Fox, Coyote, Beaver, Snowshoe and Arctic Hare, Ringed and Bearded Seals, Beluga Whale, Black Bear, and the mighty Polar Bear. The diverse birdlife found in this province offers exciting and enjoyable wildlife encounters. 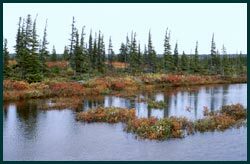 The dynamic flora and plant communities include: grassland meadows; hardwood, aspen parkland, and boreal forests; and the very special arctic tundra. 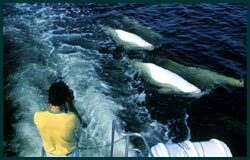 Part of the thrill of visiting the "accessible arctic" at Churchill is the unique encounter with the marine ecosystem of Hudson Bay while travelling in this prairie province. 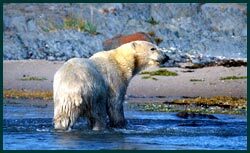 "... we had a great trip with you & would recommend Churchill Nature Tours. Saw a lot of bears." 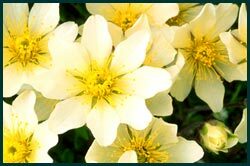 Excellence in Ecotourism since 1985.